Bicycles in front of your mobile home. From the Résinière, cycling is the best way to discover Hourtin and Médoc Ocean. It is essential to get to market or take trips with family or friends on the bike paths of the surroundings. Take the opportunity also to get to the lake or beach. Here the bikes are new and very well maintained. So no surprises! 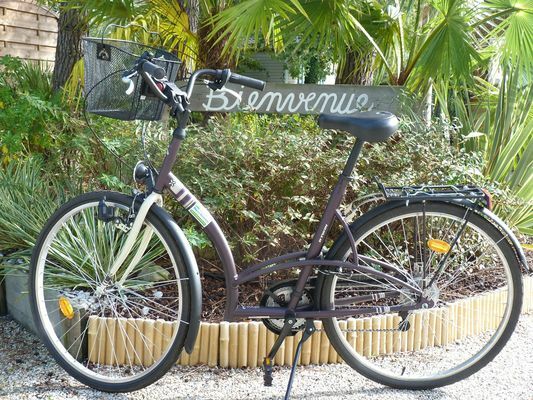 And if you book your bikes along your mobile home at Domaine de la Résinière, you get a discount of 5%. There is no review about Domaine La Résinière - Location De Vélos, be the first to leave one !